Caesar made politics and power his life’s ambition. Posterity will be staggered to hear and read of the military commands you have held and the provinces you have ruled … battles without number, fabulous victories, monuments and shows and triumphs. Gaius Julius Caesar was born on the 12th Quintilis 100 BCE (Before the Common Era). After his death, that month was named ‘July’ in his honour and the Rome into which he was born was transformed forever. During his lifetime, Julius Caesar changed his world. When he was born, Rome was ruled by a senate composed of the patrician elite. 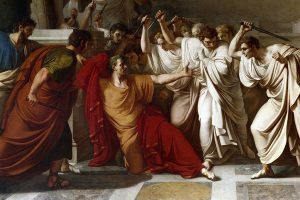 By the time he died, Rome was ruled by Caesar and he had started a chain reaction that led to the demise of the Roman Republic and the instigation of imperial rulership. 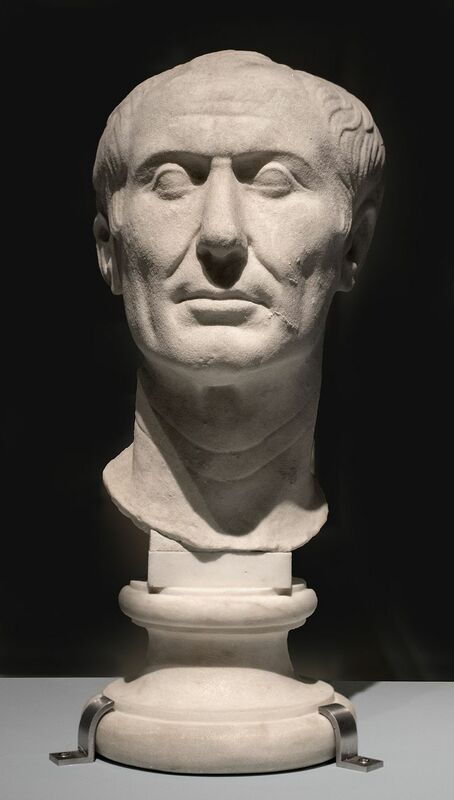 Throughout his life, Caesar did not simply seize opportunities that presented themselves; he also created his own opportunities and forged his own path to power and glory. Caesar was an intelligent, ambitious and charismatic man. He was clever enough to ensure he was popular with the people and fortunate enough to be born a member of the Roman elite. This winning combination allowed him to craft a position for himself that changed his world and the world around him, and established an enduring legacy which lasted for millennia. In the years after his death, Caesar’s great-nephew (and later adopted son) Octavian ensured that his uncle’s name would live forever by quashing the last of Caesar’s opponents to become the first emperor of Rome. In 27 BCE, Octavian was declared princeps and used his adoptive father’s name as a title to become Imperator Caesar Divi Filius Augustus (Emperor Augustus, son of the divine Caesar). Every subsequent emperor of Rome followed his lead and took the name Caesar, whether or not they were his descendant. with it his legacy of power and conquest live on. In order to become the man we remember today, Caesar spent eight years exploring the outer limits of the known world and conquering Gaul. Because Caesar visited numerous lands in his travels, conquering many of them, his journey is part of the history of many modern European nations, including the United Kingdom, France, Belgium and Germany. To ensure that people long after his death would continue to admire his achievements, Caesar recorded his journeys and conquests in his Gallic War. The Gallic War provides a record of Caesar’s conquests for his contemporary Romans and their descendants. This text testifies to Caesar’s great military prowess and also provides the world’s first written document about the Gauls, Germani and Britanni. Caesar documented the complex interactions between these peoples and the ethnographic differences he perceived between the Roman people and those who lived on the edge of, and beyond, Rome’s borders. The text also provides us with an insight into the author himself. The structure and content of The Gallic War reveal Caesar’s interests and priorities and are a record of exactly what the commander wanted preserved for posterity. The Gallic War is not the only record of Caesar’s conquests in Gaul. Written accounts of Caesar’s triumphal processions to celebrate his victories provide important information about the way Caesar wanted his conquests to be remembered. Although we know many details about Caesar’s triumphal processions, existing records are inconsistent and incomplete. Hence, we have filled knowledge gaps about Caesar’s triumphs with information from triumphal processions celebrated earlier in the republican period. These two knowledge sources let us construct a rich and detailed representation of his triumph. Both Caesar’s written and processional accounts of his successful campaigning in Gaul were designed to promote the prowess of the military commander and lend him enough popular favour to win political office. Central to this book are Caesar’s own account of Gaul and the Gauls, as well as the way Gaul was ‘displayed’ in the aftermath of his campaigns. 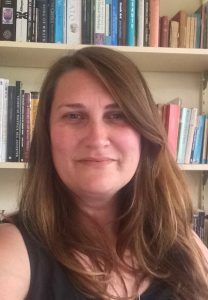 The themes of people, mapping and boundaries run throughout and highlight the significant aspects of conquest for the Roman people. Unfortunately we know almost nothing of Caesar’s early life. History has preserved two biographies, one by Suetonius and the other by Plutarch, but both of these are missing the first few chapters and start with Caesar’s early adult life. We do know that Caesar was born into the patrician Julian clan (the gens Iulia) and that his aunt Julia was married to the extremely successful military commander Gaius Marius. We also know that Caesar grew up in the poor district of Subura located very close to the Roman forum, which was the home of prostitutes, foreigners, poor labourers and tradesmen. Throughout his life, Caesar used this humble home and his relationships with the ordinary Roman people who lived as his neighbours to increase his popularity. The gens Iulia claimed ancestry from Venus through the Trojan prince Aeneas’ son Iulus (also known as Ascanius). It is interesting to note that, despite their pedigree, Caesar’s family were not politically inclined. This, of course, changed when Caesar made politics and power his life’s ambition. In 85 BCE, Caesar’s father died and Caesar became paterfamilias at sixteen years of age. A year later, Caesar entered political life as the Flamen Dialis (the High Priest of Jupiter). 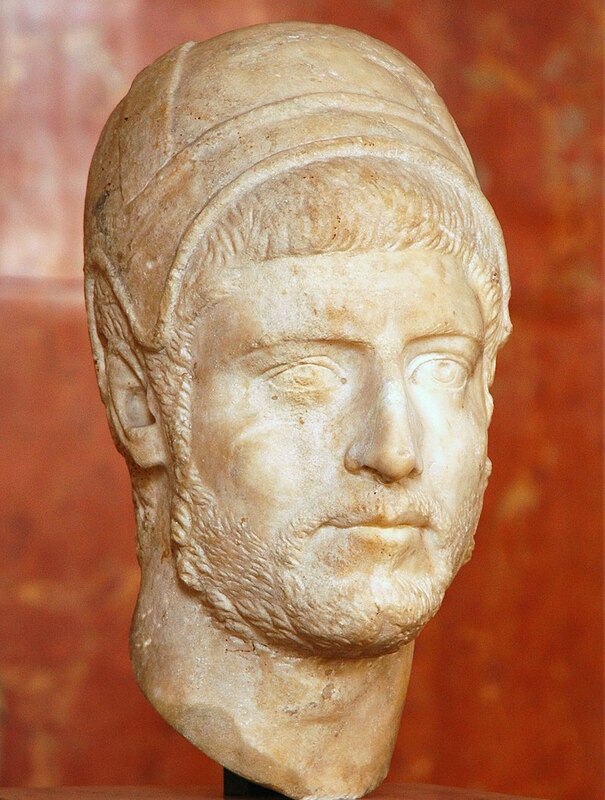 In the same year he married his first wife, Cornelia, daughter of the Marian supporter Lucius Cornelius Cinna. He remained married to Cornelia for sixteen years until she died in child-birth in 69 BCE. Cornelia was the mother of Caesar’s daughter and only surviving legitimate child, Julia Caesaris, born in 76 BCE. Julia later married Caesar’s then political ally, and later political enemy, Pompey the Great, before dying in childbirth in 54 BCE (while Pompey and Caesar were still allied). Cornelius Sulla in the late 80s BCE. After defeating Marius, Sulla marched on Rome and installed himself as dictator, a political manoeuvre that Caesar later emulated. Sulla wanted to restore the Roman republic after a period of elite competition had dismantled many of its checks and balances. Caesar’s political alignment forced him into exile during Sulla’s dictatorship, but his allies in Rome petitioned for Caesar’s pardon. Sulla eventually conceded to these pleas but warned his supporters of the ambition he recognised in the young Caesar, asking them to remember their efforts to save this man when he obliterated the aristocracy that they had worked so hard to preserve, for ‘they were stupid if they could not see that this boy contained many Mariuses’ (Plutarch, Life of Caesar, 1.4). Caesar fulfilled Sulla’s prophecy when he became Rome’s perpetual dictator in 44 BCE, and the Roman Senate was forever relegated to the second most powerful institution in Rome. Caesar married twice more. In 68 BCE, he married Pompeia, the daughter of Quintus Pompeius Rufus and Cornelia (Sulla’s daughter). The marriage ended in divorce when Pompeia was caught up in a scandal at the Bona Dea festival in 62 BCE. This women-only festival was gate-crashed by Publius Clodius Pulcher (dressed in women’s clothing), who attempted to seduce Pompeia. Whether or not Clodius was successful, Caesar divorced Pompeia under the premise that the wife of Caesar could never be under suspicion. In 59 BCE, Caesar married for the third and final time. Calpurnia, the daughter of Lucius Calpurnius Piso Caesoninus, outlived Caesar and did not remarry after his death. Neither Pompeia nor Calpurnia bore a child to Caesar. In his early political career, Caesar followed a fairly traditional career path. 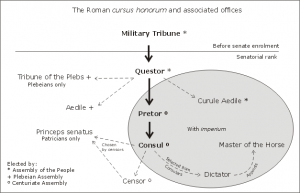 After serving in the military, he progressed up Rome’s political ladder, the cursus honorum. Upon his return to Rome, Caesar formed the First Triumvirate with Pompey the Great and Marcus Licinius Crassus. The triumvirate was an unofficial political alliance between the three most powerful men in Rome at the time. Its existence was unconstitutional, and it was kept secret for many years as the three men manipulated Roman politics to suit their personal agendas. 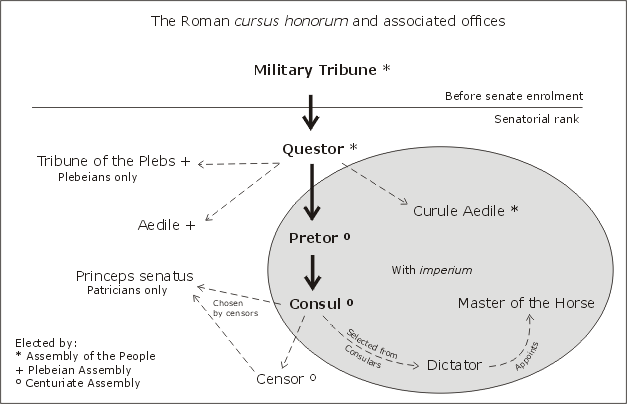 One perk of the Triumvirate was Caesar’s election to the consulship in 59 BCE. 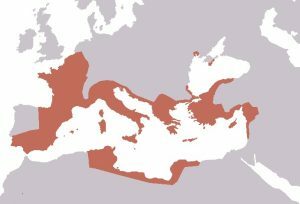 people forced them to add Transalpine Gaul as well (Suetonius, Deified Julius Caesar, 22.1). 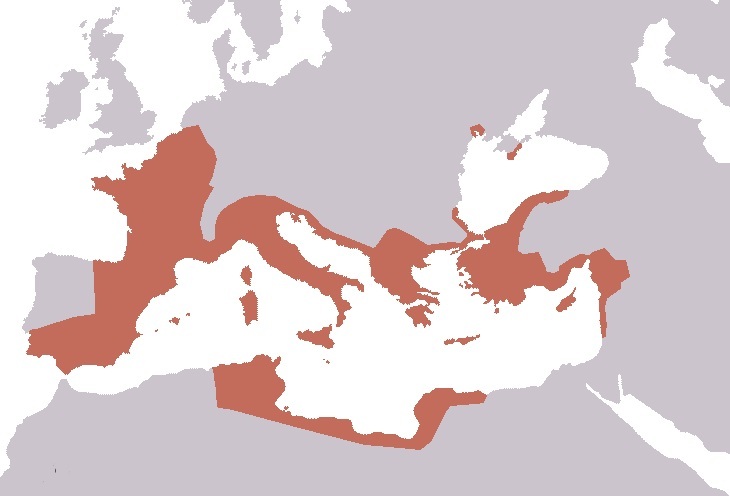 These provinces came with four legions, and it was with these men that Caesar spent the next eight years conquering Gaul and exploring the outer limits of the known world. Traditionally, and until the early first century, the Senate was a body of around 300 men. During Sulla’s dictatorship, the numbers were increased to between 500 and 600 and included 300 previously equites (Appian, Civil Wars, 1.11.100; Cicero, Letters to Atticus, 1.14.5). In 45 BCE, the Senate had 900 members after Caesar rewarded his supporters with admission (Cassius Dio, 43.47.2; Suetonius, Deified Julius Caesar, 41.1). The Gallic War is divided into eight books (one per year, with Book 8 covering two years); each book is further subdivided into short chapters, and each chapter into short subchapters, usually a sentence or two long. As a result, Latin scholars can be very precise about which sentence they mean! So The Gallic War 1.1.1–2 refers to The Gallic War Book 1, Chapter 1, sentences 1 and 2. Note that a lot of translations give only book and chapter number; in hard copy editions, this is usually at the top of the page. 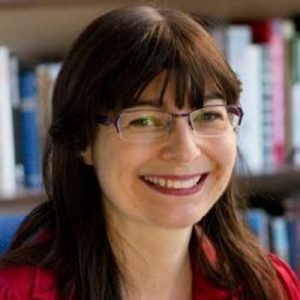 Originally published by La Trobe University under the terms of a Creative Commons Attribution-NonCommercial-NoDerivatives 4.0 International license. This entry was posted in Ancient, History, Julius Caesar, Roman, Rome. Bookmark the permalink.